Entry Setting Hearing and Ordering Notice; Final Account in the Estate of Frederick E. Rhinebolt. 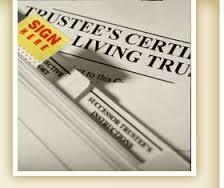 Fiduciary’s Account Receipt: 29318 Date: 06 04 2015; Proof of Service in the Estate of William Clyde Lewis. Report of Newly Discovered Assets in the Estate of Harry Cedric Kimberling. Certificate of Termination; Judgment Entry- Certificate of Termination in the Estate of Harold Thomas Alicie. Second, Final and Distributive Fiduciary’s Account Receipt: 29313 Date: 06/03/2015; Receipts and Disbursements; Waiver of Notice of Hearing on Account; Certificate if Service of Account to Heirs or Beneficiaries; Confidential Disclosure of Personal Identifiers; Entry Setting Hearing and Ordering Notice; Final Account; Fiduciary’s Account in the Estate of Karen Dianne Fishburn. Entry-Motion to Dispense with Appointment of Appraiser; Entry-Motion to Retroactively Approve of Sale and Payment; Entry Setting Hearing; Judgment Entry Order Approving Inventory and Appraisal; Judgment Entry Ordering Approving Transfer of Motor Vehicle; Judgment Entry Approving Transfer of Motor Vehicle; Entry Setting Hearing and Ordering Notice; Entry Approving and Settling Account in the Estate of Jeffrey C. Higgins. Proof of Service in the Estate of Robert Warren Whipple. Entry Issuing Certificate of Transfer; Certificate of Transfer in the Estate of Barbara L. Smith. Proof of Service in the Estate of Lois F. Marshman. Inventory and Appraisal without Real Estate; Appraiser’s Certificate; Waiver of Notice of Hearing on Inventory; Schedule of Assets; Inventory Hearing in the Estate of Jack Roy Williamson. Inventory and Appraisal with Real Estate; Schedule of Assets; Waiver of Notice of Hearing on Inventory; Application for Certificate of Transfer; Certificate of Title Examination in the Estate of Jerry Glenn Campbell. Entry Setting Hearing and Ordering Notice; Entry Appointing Fiduciary; Letters of Authority; Entry Approving Appraiser; Schedule of Assets; Inventory and Appraisal with Real Estate; Waiver of Notice of Hearing on Inventory in the Estate of Monica M. Foust. Inventory and Appraisal with Real Estate; Schedule of Assets; Waiver of notice of Hearing on Inventory; Application for Transfer for Motor Vehicle; Motion to Dispense with Appraisal of Real Estate and to Adopt the Morrow County Auditor Current Appraised Value of Real Estate in Lieu of Appraisal; Entry Granting Motion to Dispense with Appraisal; Entry Setting Hearing; Judgment Entry Order Approving Transfer of Motor Vehicle in the Estate of Constance J. Underwood. Fiduciary’s Acceptance; Entry Admitting Will to Probate; Entry Setting Hearing and Ordering Notice; Entry Approving Fiduciary; Letters of Authority; Citation to Surviving Spouse to Exercise Elective Rights; Fiduciary’s Acceptance in the Estate of Robert Eugene Baker Sr. Application for Summary Release from Administration Receipt: 29340 Date: 06/08/2015; Surviving Spouse, Next of Kin, Legatees and Devisees; Application on File Will for Record Only; Original Will Filed; Appointment of Appraiser; Application for Transfer of Motor Vehicle; Certificate of Death Filed; Entry Approving Appraiser; Entry Granting Summary Release from Administration; Judgment Entry Order Approving Transfer of Motor Vehicle in the Estate of Judith Ellen Collard. Application to Probate Will Receipt: 29350 Date: 06/10/2015; Application for Authority to Administer Estate Receipt: 29350 Date: 06/10/2015; Certificate of Death Filed; Original Will Filed; Surviving Spouse, Next of Kin, Legatees and Devisees; Confidential Disclosure of Personal Identifiers; Fiduciary’s Acceptance; Appointment of Appraiser; Waiver of Notice of Probate of Will in the Estate of Mabel L. Braden.